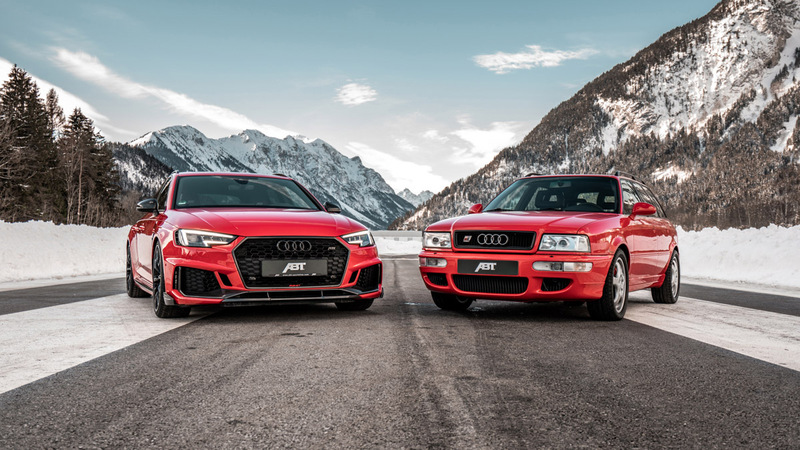 25 years of RS models by ABT Sportsline. 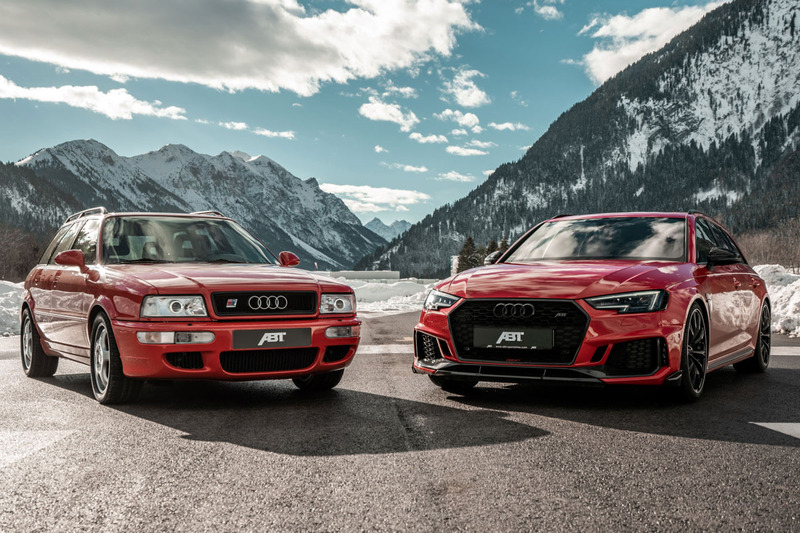 A quarter century ago, the first Audi RS model saw the light of day. With its 315hp (232kW) – which was outrageously powerful at the time, the sporty Avant naturally was a great temptation for ABT Sportsline as well. 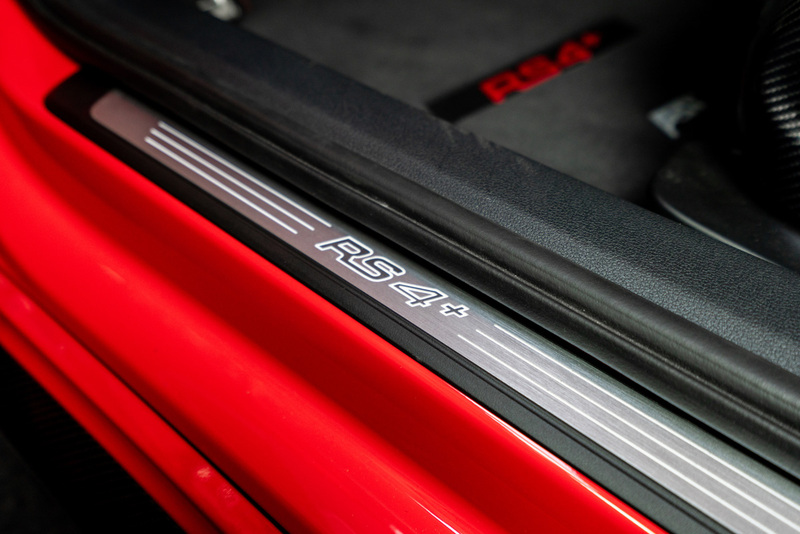 The impressive ingredients for the performance boost were a stainless steel exhaust system, a modified turbocharger and an adjustable camshaft. This resulted in a power boost up to 360hp (265kW). If horsepower were a currency, one would have to invest significantly more than 500hp today to get the same fun out of driving, based on the historic inflation rate. 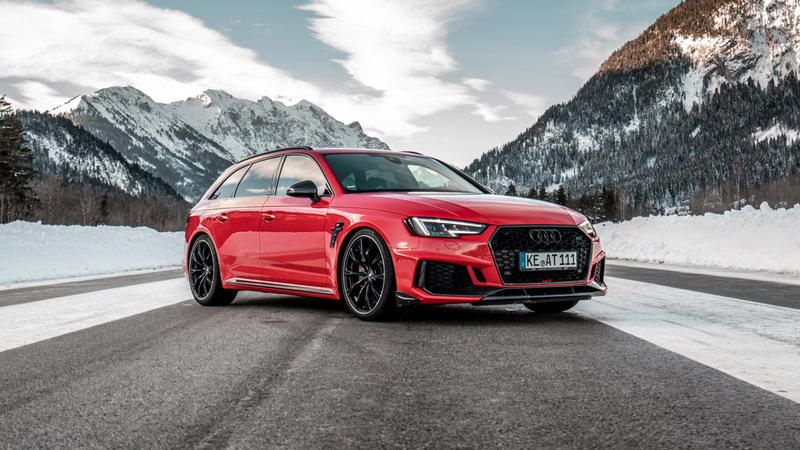 ABT Sportsline makes the equation work: Customers who bought one of the 50 ABT RS4+ from the limited 2019 edition even received 530hp (390kW). The world's largest tuner for Volkswagen and Audi brought the two cars together on an airfield for a family photo and of course to explore their potential. "The journey began in 1994 with the Audi RS2, which was built in a cooperation with Porsche. It was one of the first station wagons that could hold its own against proper sports cars and was a crucial factor for the success of this vehicle type at Audi," CEO Hans-Jürgen Abt reminisces about old times. After returning his historic gem to the company collection in Kempten/Bavaria, the ABT RS4+ was handed over to its new owner. 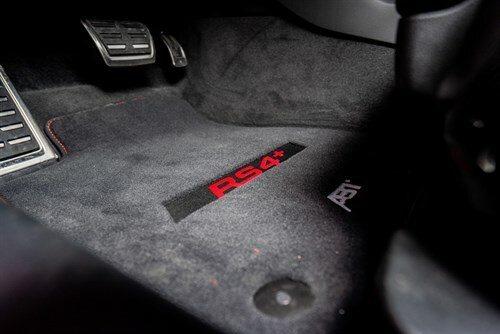 The separate ABT Engine Control (AEC) unit – the heart of all power boosts from the Bavarian tuner – provides a generous top-up for the standard 450hp (331kW) of the biturbo V6. The strongest version ABT Power S additionally includes an auxiliary water cooler, a new muffler and an air intake trim. Altogether, this adds up to an extra 80hp (59kW) and 90Nm. The difference to the basic model can consequently not only be felt, but also heard. This is ensured by the exhaust system which ends in four attractive tailpipe carbon-look trims, each with a diameter of 102 mm. The rest of the look is equally raw and powerful – the comprehensive carbon aerodynamic package contains: ABT front grill frame and ABT front lip add-on as well as ABT front blades, which replace the original front flics. This is completed by an ABT rear skirt add-on, above which a dynamic ABT rear spoiler looms. The concept is completed by numerous other stylish details, RS4+ logos and emblems. The 20-inch ABT SPORT GR alloy wheels contribute to the highly prestigious look. The glossy black paintwork provides an effective contrast to the diamond-machined rim flange.